Hollywood Studios has seen some incredible updates and changes in the last few years. There are so many fun attractions, shows and characters to enjoy in this park. It can be difficult to know where to begin when you see all the entertainment options at Hollywood Studios. Join us for this countdown to learn the “Do’s” and “Don’ts” of a day at Hollywood Studios. 10. Don’t Wait In Standby Lines for Tower of Terror, Toy Story Midway Mania or Rockin’ Rollercoaster. Do yourself a favor and snag fast passes for these rides if possible. The wait times for Tower of Terror, Toy Story Midway Mania, and Aerosmith’s Rockin’ Rollercoaster can all climb to way over an hour wait in the standby line. Consider arriving at rope drop and dashing to one of these rides and snagging fast passes for the remaining two. Walt Disney World rides are super fun and super safe. However, it is still important take the ride advisory warnings seriously. Speaking from experience, Rockin’ Rollercoaster is fun, but not if you are prone to motion sickness and spend the remainder of your park day with a pounding headache after riding it. There is no shame in enjoying a different attraction while the rest of your party rides an attraction that is not the right fit for you. Be it the confectionary, the hat store or any of the themed character stores; I love shopping in Hollywood Studios! Attraction themed t-shirts, embroidered mouse ears and old Hollywood themed memorabilia are fun buys in the park. Disney entertainers are seriously talented and put on incredible shows you do not want to miss. Disney parks are fairly ride-centric. However, the stage shows in Hollywood Studios are just as dazzling as the rides. Ever the Disney princess fan – I adore Voyage of the Little Mermaid and Beauty and the Beast Stage Show. There are plenty of other fun shows for your family to enjoy, consult the show guide for show times and locations. Scheduling fast passes, show times, meals and other attractions can be a bit more involved at Hollywood Studios than other parks. Feel free to change up your schedule as your group sees fit during the park day. However, do make a rough day plan prior to your visit. Ranking your family’s “must do’s” in Hollywood Studios ahead of time will ensure everyone snags the fast passes they need around the schedule for the live shows you plan on seeing. Even if you are planning to take advantage of character meets in other parks, take the time to consult the guide map to see meeting times and locations for characters in Hollywood Studios. Star Wars and Disney Junior characters are some crowd favorites among Hollywood Studios characters. The Great Movie ride is such a fun, detailed ride that really ties together the Hollywood theme of the park. Journey through the decades and through the movies in this slow moving ride, enjoy the air conditioning, movie clips, and browse the displays of movie memorabilia as you wait in line. There are some great dining opportunities in Hollywood Studios. Too often guests think of Magic Kingdom and Epcot as the park to have a sit down meal. In reality, Mama Melrose, The Brown Derby, Hollywood and Vine and other Hollywood Studios eateries are just as delicious and fun. Be sure to explore restaurant options at Hollywood Studios when planning your day in the park. If you love characters, fireworks, incredible music, and overall a dazzling nighttime show, you must see Fantastmic. Lasers, lights, and fireworks tell the story of Disney Villains versus Mickey Mouse. The scene that stars my favorite Disney princess, Pocahontas is my favorite. Do not miss this incredible show! Depending on the preferences of other guests you speak with, you may be advised that Hollywood Studios is a half-day park. I differ with this opinion, as there are so many great shows, rides, foods, characters and shopping options to experience in the park. 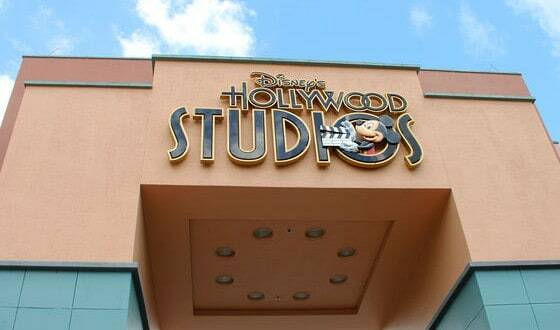 My suggestion is to plan for a whole day in Hollywood Studios to enjoy as many attractions as possible.